Hello my lovelies! I hope you've all had a good week. I haven't managed to post that much as I've been so busy and I'd just like to apologise for that. However, I do have some really exciting news! Very soon I will be posting my first official review on a local product. It's a really great product and I'm so excited to share my thoughts on it with you guys! I promise it will be up this week. Anyway, it's that time of the week again when I get to share with you just a few snippets from my week. Enjoy! 1. 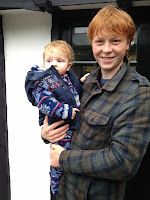 The best thing about this week was that it was half term and I got to spend loads of time with Oscar and my family! On Wednesday we all had a family day out to our local theme park which was a lovely day, although the park itself was a little run down which was disappointing. This is a picture of Oscar and my little brother Kai in the Peter Pan section; one of my favourites from this week! I did have a really good Halloween though. My family had a big movie night in the lounge with lots of snacks and movies. We watched The Woman In Black which I didn't actually find that scary, probably because I kept thinking of Harry Potter every time I saw Daniel Radcliffe! It was a good film though, and I enjoyed the jumpy parts. 3. 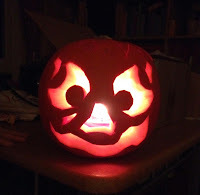 Another favourite snippet from my week was helping my sister get ready for a Halloween party. My sister Leah went to her friends party as a cat. I helped her choose her outfit and after much discussion we settled on a black peplum top and leggings) and I also did her makeup. 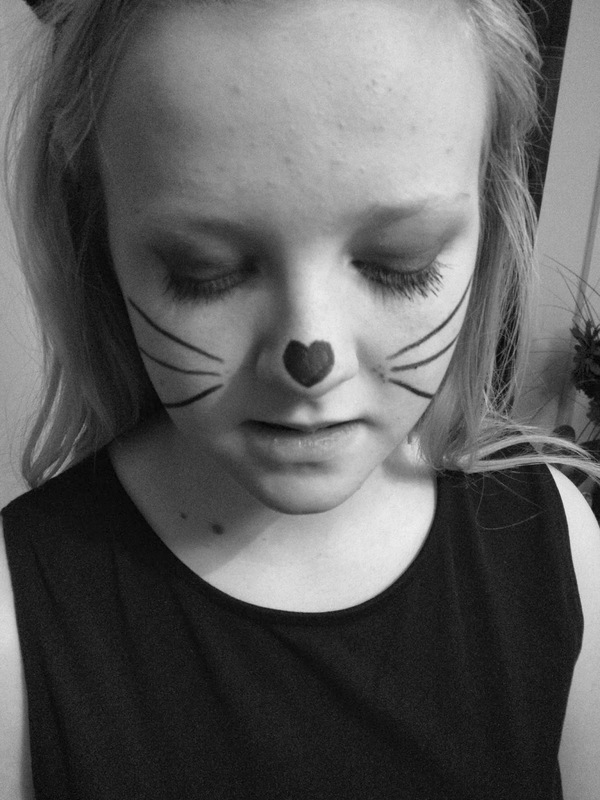 I gave her a soft smokey eye and drew whiskers and a nose with eyeliner. She looked absolutely gorgeous! I really enjoyed being able to work on my own makeup skills. I'm so proud with the result! 4. 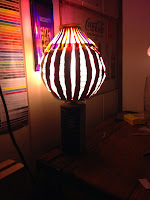 And finally, another favourite snippet from my week was receiving a beautiful handmade lamp from Oscar. 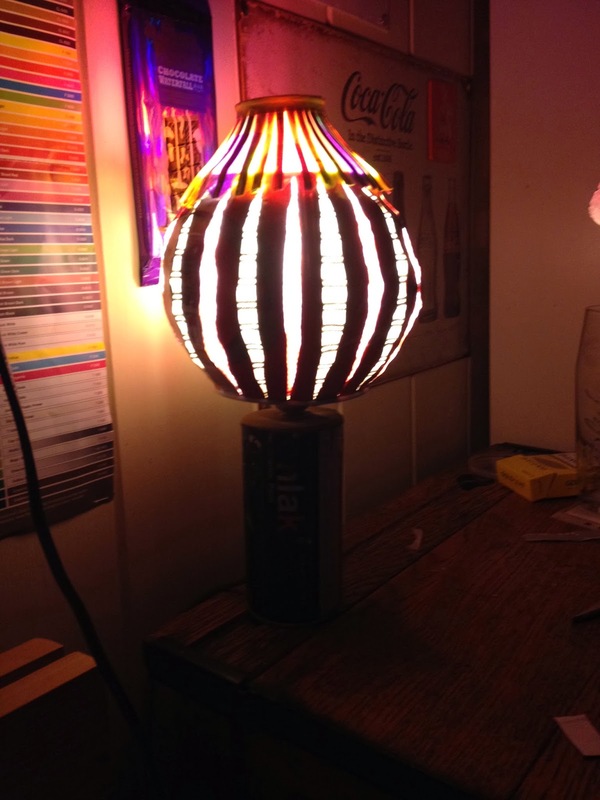 He made this lovely lamp out of a spray can (the base) and recycled tin and materials. It creates a soft, warm purple-ish light which is really nice for cosy nights in bed, and perfect for winter! I love it. Hope you've all had a great Sunday! I love halloween and your pumpkin is beautiful! I made one too, but more more simple! Oscar is so darn adorable! I actually really like that lamp!